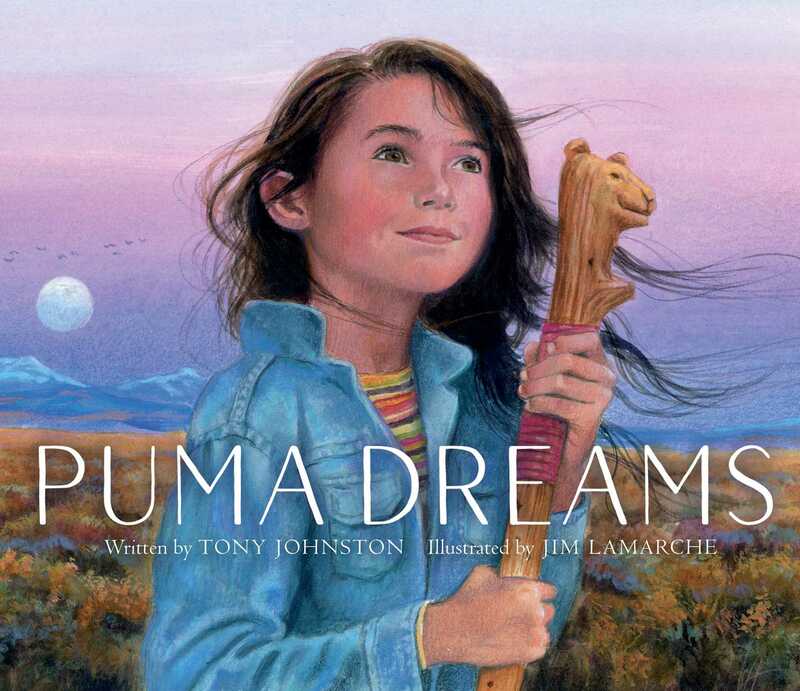 From award-winning duo Tony Johnston and Jim LaMarche comes a stunning, lyrical picture book about a girl’s desire to see an elusive California puma in the wild that includes interesting facts about this beautiful and threatened animal. A girl visiting her grandmother longs for a glimpse of the solitary and rarely seen puma. Her grandmother tells her that if she’s patient, one day her wish will come true. But patience is hard, the girl thinks. So, the girl and her grandmother stand watch each day, and then finally, without warning, she sees the beautiful animal from afar. Knowing she may never see a puma again, she now knows it’s everyone’s responsibility to protect these increasingly threatened animals. Jim LaMarche is one of the most talented artists working in children’s books today. His many successful books include Rainbabies by Laura Kraus Melmed and Albert by Donna Jo Napoli, which was selected as a New York Times Best Illustrated Book; and Up and Raft, which he also wrote. Most recently he illustrated The Carpenter’s Gift by David Rubel and Puma Dreams by Tony Johnston. Jim lives in Santa Cruz, California.